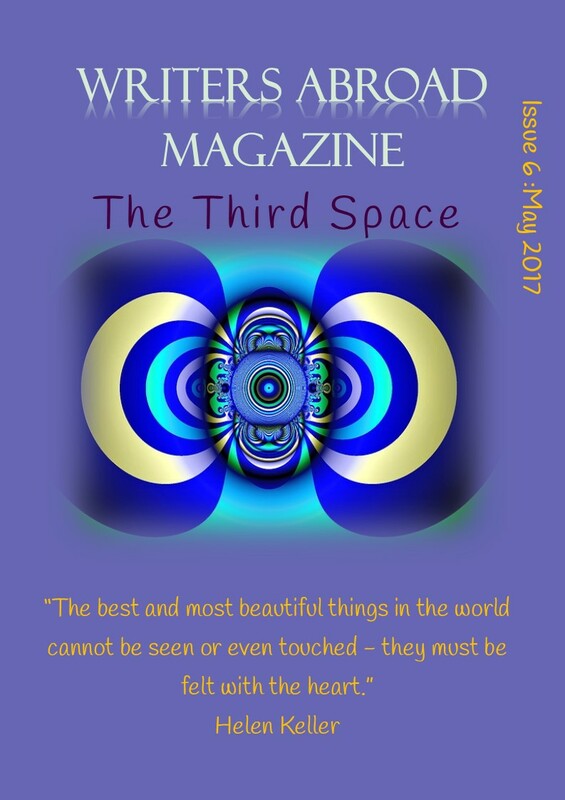 The 6th edition of Writers Abroad’s literary magazine, The Third Space is published today. It’s completely free and you can read it online on Joomag or download a PDF copy. What’s more, the first person to email us the correct answers to our new literary quiz will win 15 euros of Amazon vouchers. What’s not to like? Writers Abroad is a small online community for writers who live outside their homeland. Many of our members enjoy considerable success in creative writing competitions and a number of us are published authors. Our twice-yearly magazine showcases some of our work and contains something for everyone: short stories, flash fiction, poetry, non-fiction articles, interviews and photographs. It’s free and it always will be. We’re delighted that the renowned author Peter May agreed to be interviewed in this issue. Peter lives in France and he tells us about the inspiration he gets from his adopted country. Our literary quiz is a new feature in this issue, so get your thinking caps on and find the answers to these brain-teasers. If you’re quick off the mark, you could win those vouchers. Finally, we’re always pleased to receive feedback from readers so that we can make the mag as relevant and interesting as possible. You’ll find a feedback form at the end. It only takes a couple of minutes to complete. This entry was posted in Magazines, Writers Abroad and tagged author interview, ex-pat writers, Expat, fiction, Literary magazine, non-fiction, Peter May, poetry, writers, Writers Abroad, Writers Abroad magazine by nessafrance. Bookmark the permalink. Looks good! I’ve shared it on my new Facebook writing business page. Thanks. Very kind. I haven’t come across your FB page yet. Will see if I can find it.